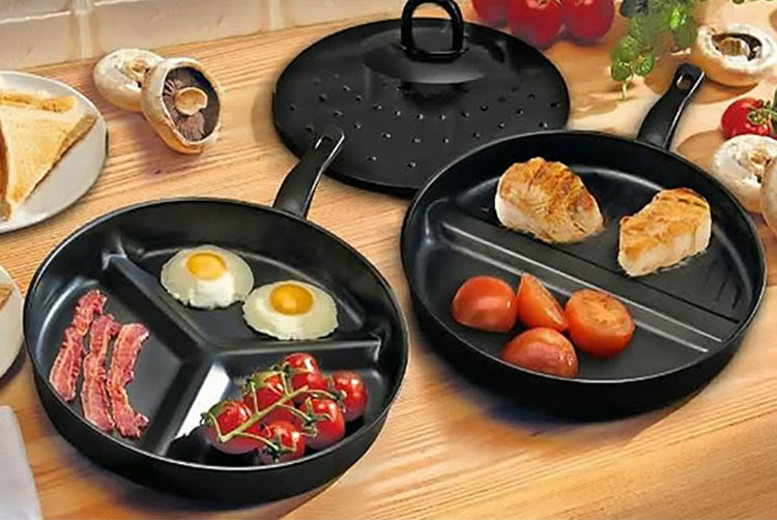 Get a three-in-one non-stick frying pan. Includes two pans, with one simmer lid that fits both. Each pan features handy dividers. Ideal for whipping up a full English breakfast or a fancy dinner. Cook up your favourite foods at once. Easy to clean and dishwasher safe!